In Melbourne Tonight: Wikipedia - I.M.T. In Melbourne Tonight, also known as “IMT”, was a highly popular nightly variety television show produced at GTV-9 Melbourne from 6 May 1957 to 1970. 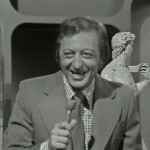 Graham Kennedy was the show’s main host and star attraction but other presenters were often called on to present the show on certain nights. IMT had as many as 50 different presenters over its 13 years on air. 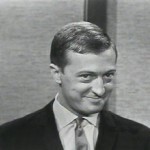 The format of the show was inspired by the American Tonight Show on NBC, but Graham’s charisma was the key to the success of IMT. IMT originally had its own self-titled theme song, but for most of the run of the show it adopted the tune of Gee, But You’re Swell, written by Abel Baer and Thomas Tobias in 1936. 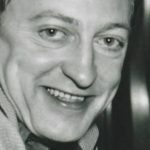 The ballet troupe was called the Royal Dancers and notably included dancers such as Denise Drysdale and Roma Egan, directed by Valmai Ennor, a former dancer with the Sadler’s Wells Ballet. 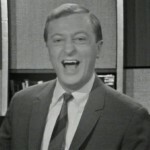 From 1960, a Friday night “national” edition of the program was shown under the title The Graham Kennedy Show (later The Graham Kennedy Channel Nine Show), with highlights packages being shown as “The Best Of IMT” and “The Best Of Kennedy”. On 7 July 1965, IMT featured a then-innovative interstate live split-screen link with Sydney Tonight on TCN-9 Sydney via the recently completed co-axial cable linking Melbourne and Sydney. 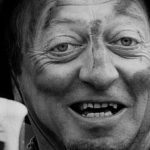 In 1970, after Kennedy had resigned from GTV-9, IMT continued with four hosts, each on a different night of the week: Jimmy Hannan, Ugly Dave Gray, Bert Newton and Stuart Wagstaff. 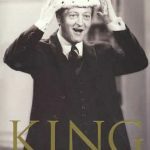 The program was gradually scaled back from four nights a week to three, then two, with the remaining two editions having their titles changed (to “The Ugly Dave Gray Show” and “Tonight With Stuart Wagstaff”), the program continuing on under the new titles until March 1971. IMT created a long-standing legacy of live variety programs for several decades from GTV-9. Most of the videotapes were erased and reused after broadcast and consequently less than 100 episodes survive today out of the thousands made. 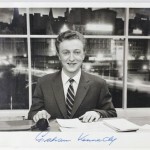 When Kennedy returned to GTV-9 in the early 1970s, the program used the title “The Graham Kennedy Show”. It did not recapture the success of the original version. The successor programs were The Ernie Sigley Show and The Don Lane Show. In 1996, the format was revived under the title IMT, hosted by Frankie J. Holden and screened as a Monday night variety show. Featured on the show were the comedic stylings of Steven Jacobs, as well as Ann-Maree Biggar and Julia Morris, who was best known for presenting “The Morris Report”, a comedic take on the news events of the previous week. The show ran until 27 November 1998.